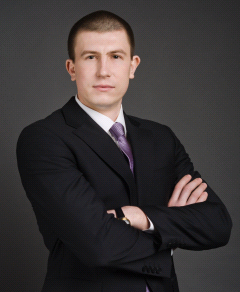 Aleksey Pukha and Partners Сompany is one of the leading Ukrainian law firms with worldwide business contacts. Company details are included in all official State Registries. The headquarters of the Company is located in Kyiv, in the heart of Ukrainian business. The Company is one of the most reputable organizations and professional associations, which include the Court of Arbitration, the Taxpayers Association of Ukraine, the Union of Lawyers of Ukraine, the Ukrainian League of Industrialists and Entrepreneurs and the Ukrainian Bar Association. Aleksey Pukha is the managing partner of the company and the head of the Commission in Ukrainian League of Industrialists and Entrepreneurs and member of the Commission in International Chamber of Commerce and NGO Public Private Partnership Development Platform. Aleksey Pukha and Partners Company cooperates with USAID, the World Bank Group and IDLO within international research projects. Every day the Company provides legal services to international companies and individuals in Europe, North and South America, Asia, Australia and North Africa. Annually, the Company contracts with clients worldwide and from all continents. The total volume of company transactions for 2015 amounted to more than 100 million USD. The quality of the services by Aleksey Pukha and Partners is supported by customer feedback. The Company is recommended as a trustworthy partner by worldwide international firms and transnational corporations such as McDonald's restaurant chain (USA), WIS Trading distributor (UK), Ipca Pharmaceutical Company (India), CLAAS manufacturer of agricultural machinery (Germany), USAID Agency for International Development (USA) and Word Bank Group (USA). Aleksey Pukha and the Partners Company follows high standards of legal services and has vast experience in a wide range of industries and legal practices including agriculture, pharmaceutics, real estate and construction, media and communication, insurance, intellectual property, banking and finance, capital market, trade, energy and natural resources, automotive, oil and gas industry, hotel and restaurant industry, metallurgical industry, primary industry, transport, chemical and sport industry, public and private partnership. The Company also provides services for private clients on family law, surrogacy, adoption, divorce, representation and protection of interests, business decisions, contracts, real estate, migration, inheritance, taxation, licensing and criminal and civil law. Aleksey Pukha and Partner is among the top 100 of the best law firms in the world and is an annual participant in the international rankings such as Chambers Global, IFLR1000, Who's Who Legal Awards, Legal 500, Global Law Experts, Monthly Legal Awards 500, ICFM Global Award Winners, DealMarkers Law Awards, ICFM 250 Leading Firms, Lawyers World Country Awards, InterContinental Finance & Law, Global 100. The Company has many publications in the fields of bank law, labor, corporate, litigation, immigration, criminal, investment, inheritance, customs, agricultural, medical, family law, arbitration, intellectual property, M&A, patents and public private partnership.